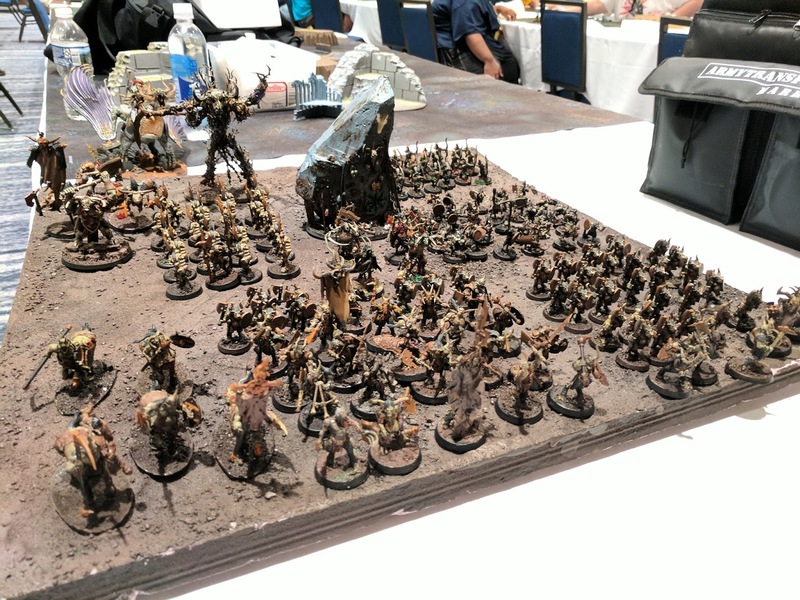 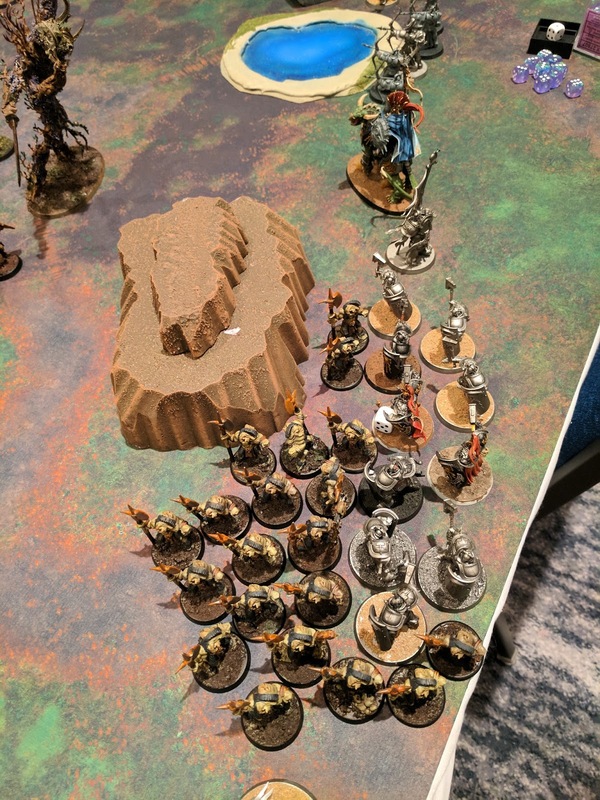 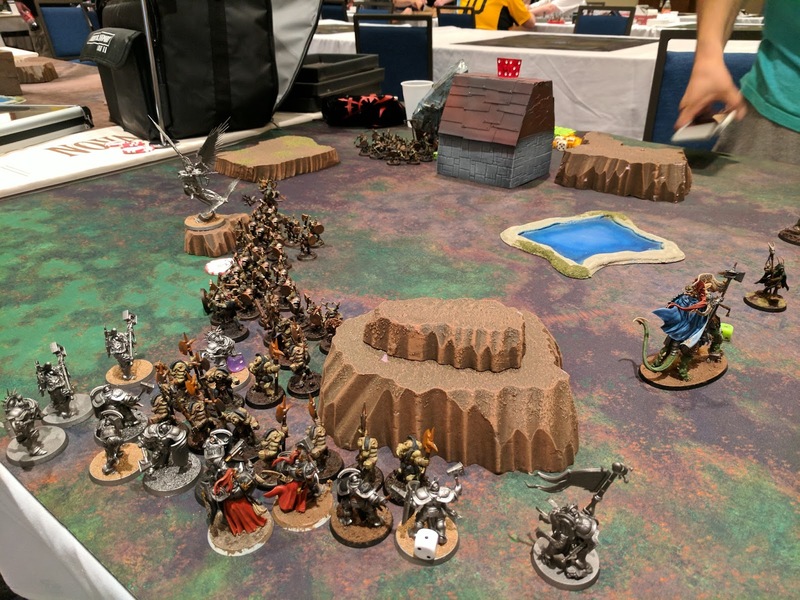 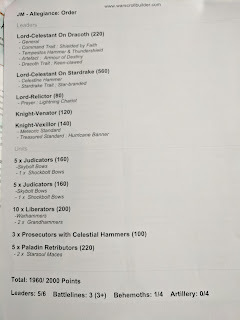 Today, I bring you pictures and some thoughts from my friendly 2000pt AoS pickup game from NOVA 2017, Stormcast Eternals vs Brayherd! One of the first turn chargers makes it in, tying up the Liberators (for the rest of the game). The Stardrake truly puts out an enormous amount of damage! 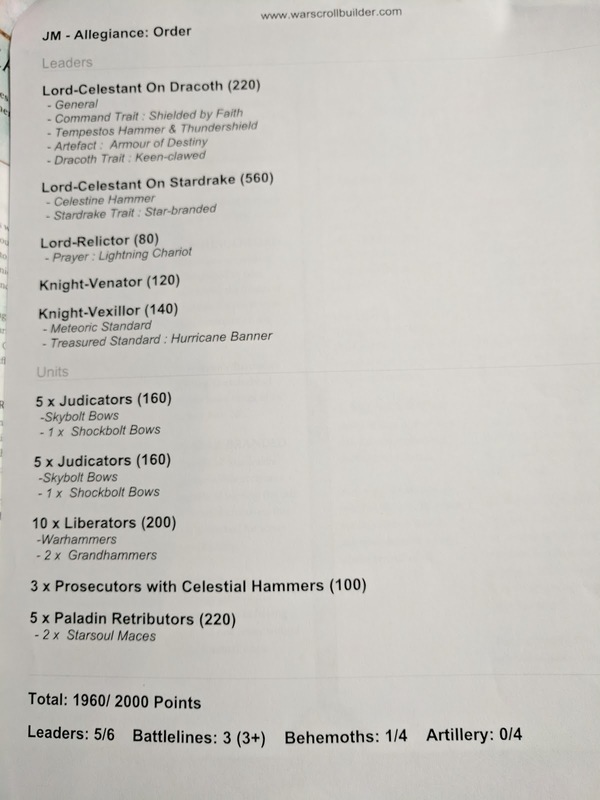 Its Lord of the Heavens / Rain of Stars ability alone consistently put out mortal wounds all across the battlefield that really added up by the end. When close enough, he ate enemies outright with Cavernous Jaws, ravaged the horde with great claws and sweeping tail, not to mention the beat stick that the rider swings with. This unit alone mopped up that region of the board, but not before Ian claimed 3 of 4 objectives for the dark gods, taking a healthy lead on the primary mission. 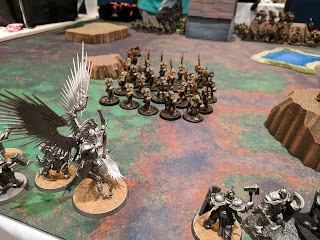 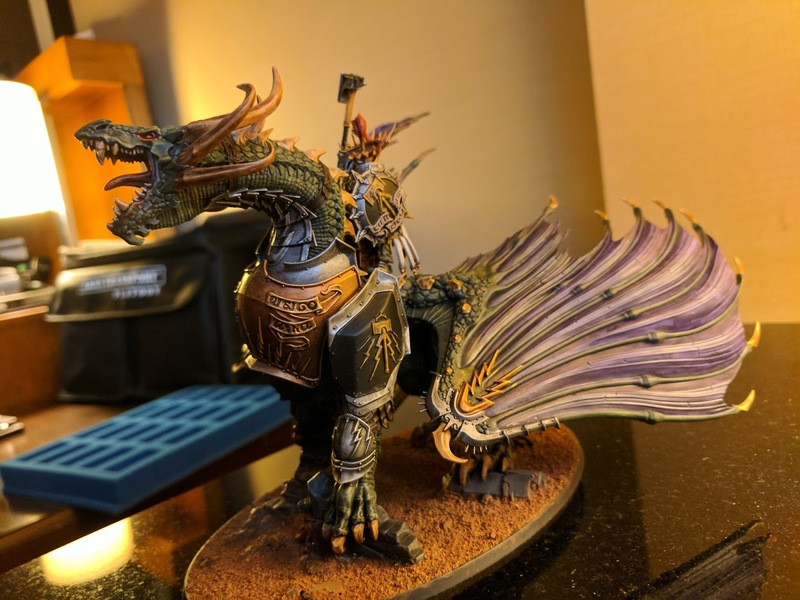 The other big show down was that Ghorgon taunting my Lord-Celestant on Dracoth. 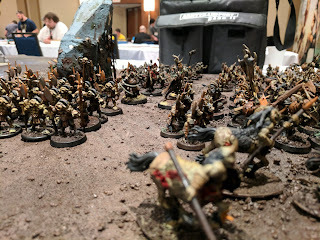 I shoot everything I can at it bringing its wounds count down to something closer to my own general's health, trying to even up that fight before charging in. My general connects big time with his mighty Tempestos Hammer, rolling well on the bonus attacks and the critical D3 damage roll, felling the daemon spawn before it could cause any more nightmares for my army. 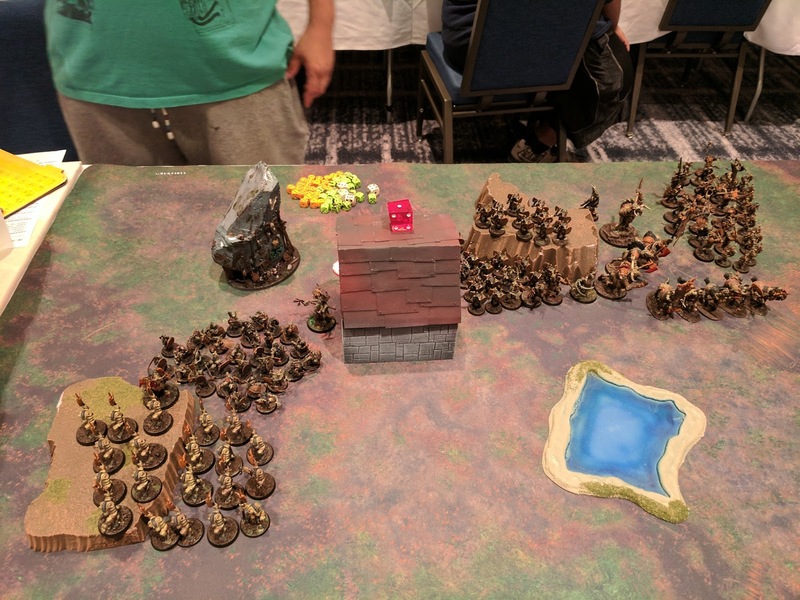 The dice continued in my favor and I was able to secure the 3rd objective, with just enough turns remaining to catch and pull ahead by 1 point at the very end of the game, 11-10! 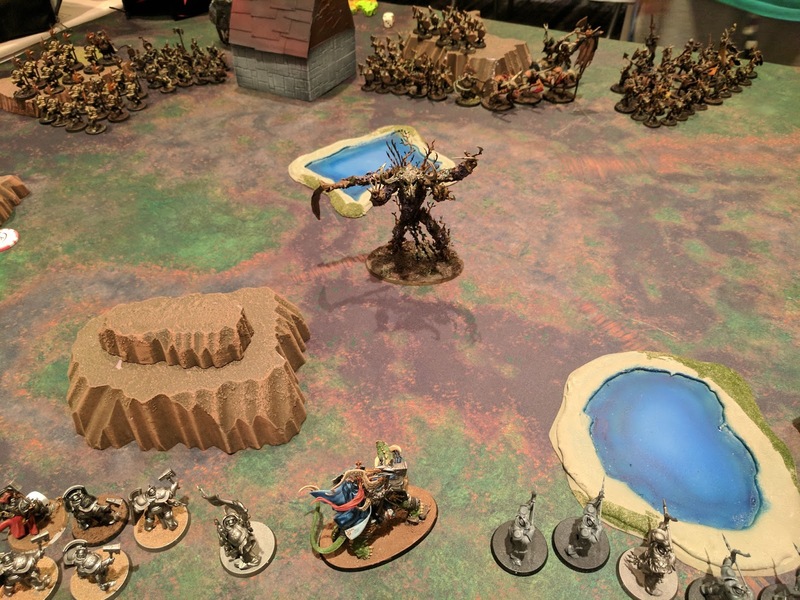 Wow, what a game! 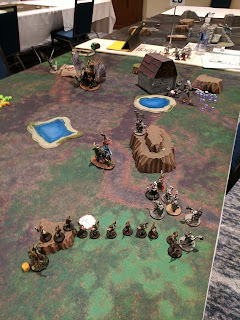 Super bloody, felt like a rollercoaster ride the whole way, and honestly could have gone a completely different direction had Ian gotten double turn on turn 2 or any number of combats thereafter had gone another way. 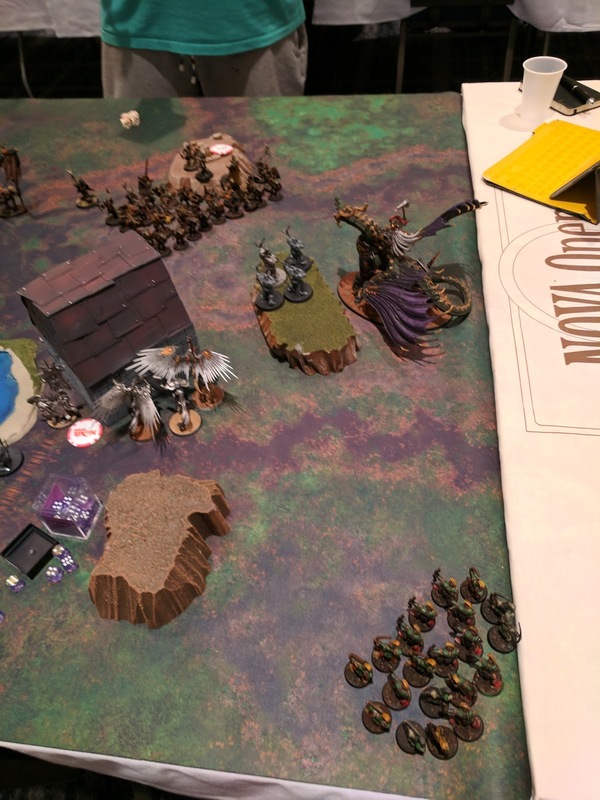 That's just one of the great things about AoS that I didn't realize until playing the game, just how fun & tactical picking the order of unit activation is each turn. There is a depth to this game that isn't immediately apparent by reading the 4 page rules alone. I was pleasantly surprised by how smooth the game flowed. 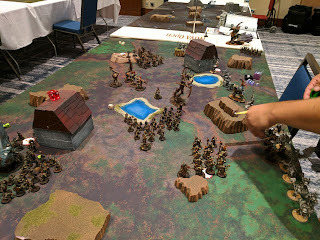 Sure, I had to reference the warscrolls quite a bit as I was unfamiliar with most of the units on the board (mine included), but we barely had to reference the core rules! 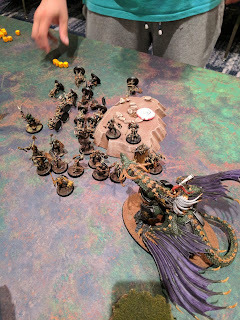 I actually thought to myself how complicated and tedious some of the combats/interactions would have been had we been playing 40k haha. The core game may seem simple at first, but it's in that simplicity that the game simply works. The game feels more engaging as there is more player interaction, even in the opponent's turn as you each take turns activating units after the first combat. Overall, the game was a lot of fun and I learned a lot about my army and the game in general. 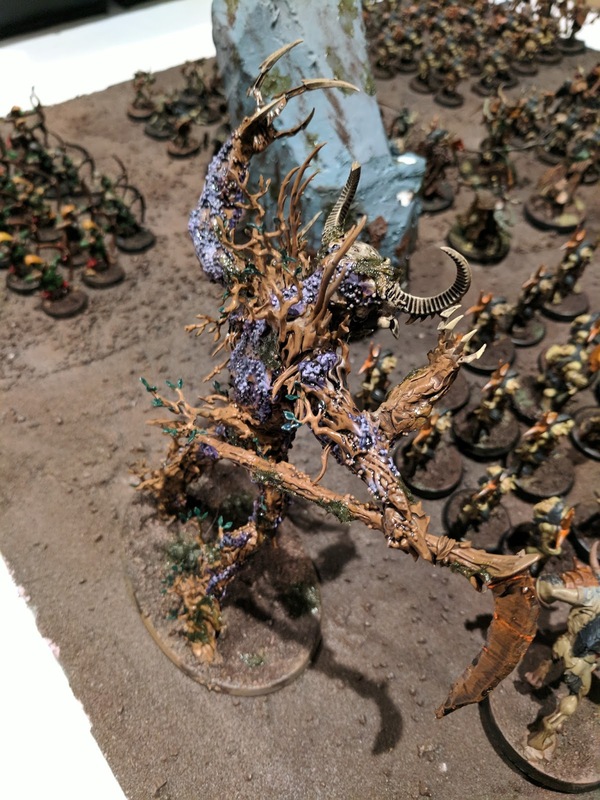 I look forward to playing more AoS soon! 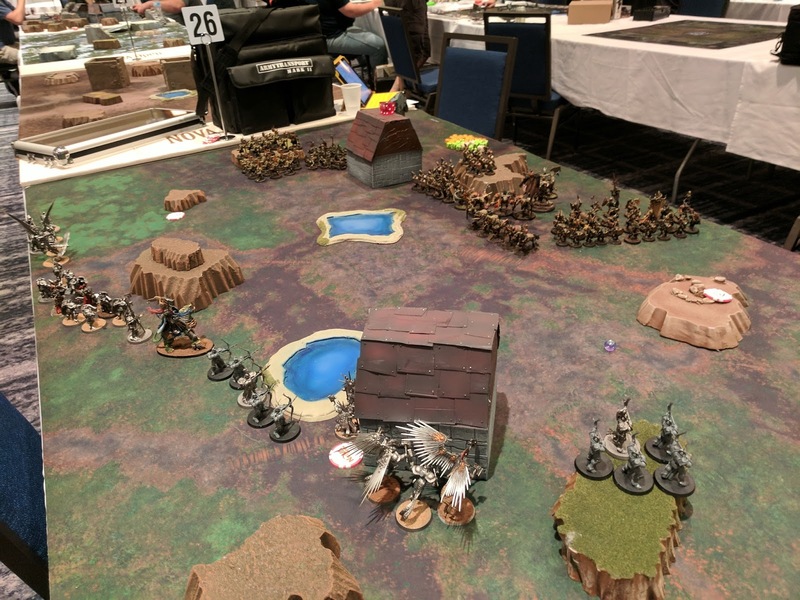 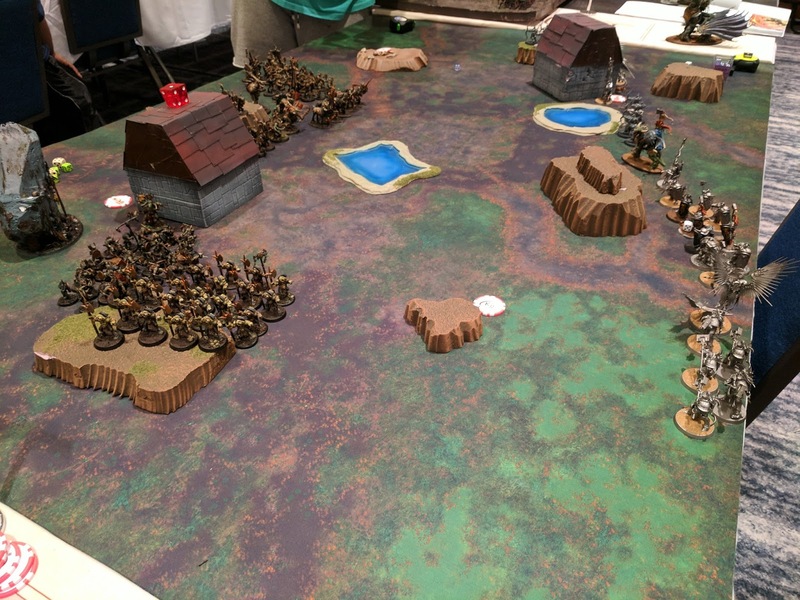 And don't forget to check out Ian's battle report of this game over on his blog!